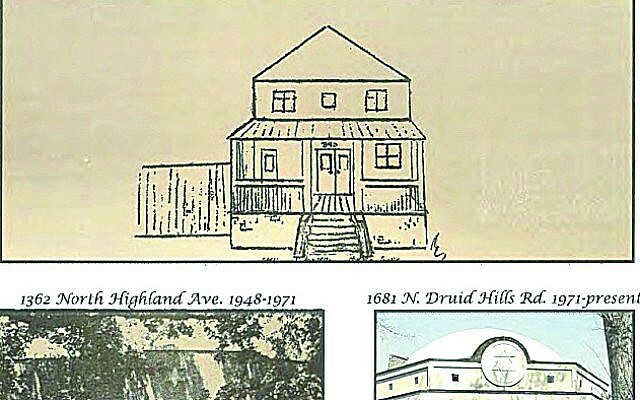 The anticipated and recently released Or VeShalom mapping project details Southside Atlanta Jews and their homes from more than 100 years ago. The front page of the directory displays photos of OVS residences from the early 20th century. The project began 20 years ago when Congregation Or VeShalom member Dan Maslia’s son handed him a map of Jewish Atlanta from almost a century ago. Houses and structures of the time were delineated, and the map detailed the area from Memorial Drive south to Bass Street, then east to Capitol Avenue before heading north. It was a 20-square-block radius of the history of where Jews had lived in the 1900s, and it even included Turner Field. As a native Atlantan, Maslia’s interest was peaked, and his research began. Now, two decades later, the Or VeShalom Founders Map Project is available for anyone who would like to see it. 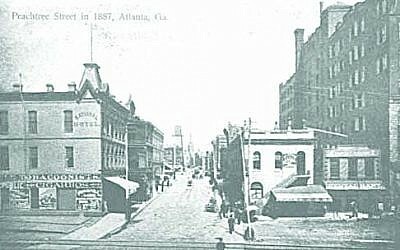 An image of the popular Peachtree Street in 1887. It looked slightly different more than 100 years ago. Having been born in Atlanta and living here for much of his life, Maslia was familiar with many of the names and families found in his research, particularly those of congregants of OVS. He began to place those names and streets of OVS members from the years of 1918 to 1941 on a spreadsheet and plotted where each family or person lived on each street. He was able to see that his father had moved four times within the area and locate each home in which he lived. The research yielded about 350 Sephardic homes and propelled Maslia to continue his investigation. He eventually also developed an alphabetical listing of everyone who lived in those houses and compared much of his research to the 1934 census of OVS congregants. Many of the buildings go back much further though. The project went as far back as to profile the Hebrew Benevolent Congregation, the predecessor of The Temple, between Pryor and Richardson streets and the Hebrew Orphans Home that spanned the entire block of Washington Street. Also visible is The Standard Club from 1905 on Washington Street, originally the mansion of William C. Sanders. It moved in the 80s to Johns Creek. 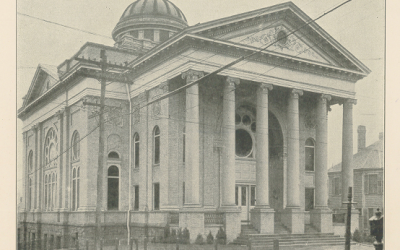 The Hebrew Benevolent Temple sits on Pryor and Richardson streets in the late 19th or early 20th century. //Image courtesy of the William Breman Jewish Heritage Museum. The Atlanta History Center, the history department of Georgia State University, and the William Breman Jewish Heritage Museum have copies of the lists, and Maslia has published his collection. In conjunction with the OVS history committee, he has made the map with all of its findings available for purchase. 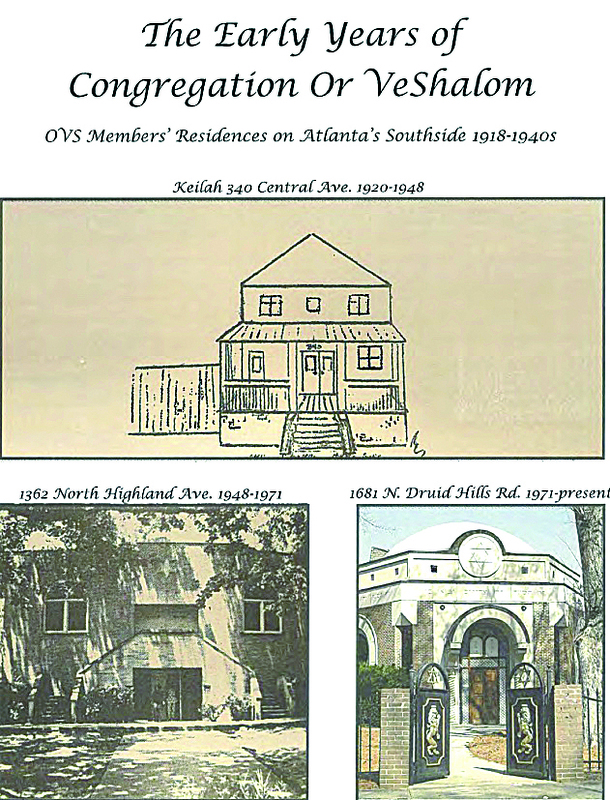 An accompanying booklet containing the exact addresses of more than 150 OVS members who arrived in Atlanta beginning in 1906 is also available. Because of the interest and success of his first publication, Maslia is now working on his second. He’s identifying businesses within that 20-block radius, and at 425 businesses so far, he’s close to completing the research. The project has taken the better part of two years, but will be finished within five or six weeks and be available shortly after that. “We did this primarily for the benefit of the people who lived there, but also for their children and their grandchildren to see where they lived,” Maslia said. “There are so many synagogues. Starting from 1918 to 1941, this is where we all were. It’s a glimpse for all those people into another era. It’s our history as Jews.